At long last, it seems like we are finally on the cusp of a Call of Duty: Modern Warfare 2 Remastered announcement even though it's just the campaign. After countless rumors, leaks, false information, and hype from fans for almost a year now, it seems like we’re finally going to get what we wanted. 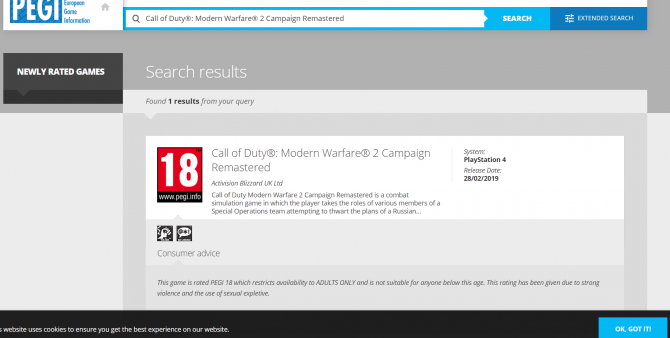 Earlier today, a listing was posted on the Pan European Game Information (PEGI) website for Call of Duty: Modern Warfare 2 Campaign Remastered and I never thought I’d get so much joy writing that sentence. 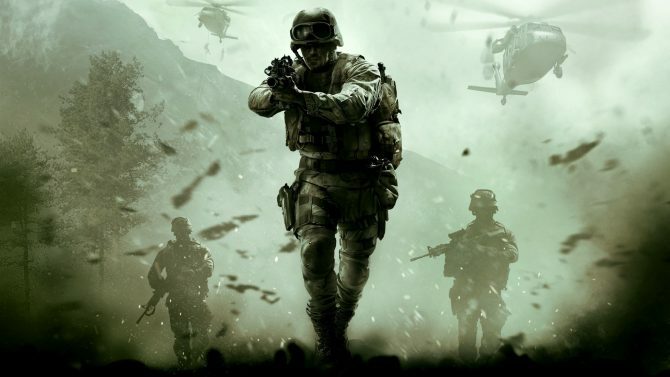 Unfortunately, no other information is given, other than the fact that it’s been rated 18 for violence and bad language, which should come as no surprise for a Call of Duty game, let alone Modern Warfare 2. According to PEGI, the title is set to release on February 28, 2019, which…just isn’t going to happen…considering that’s today’s date. So unless they shadow drop it on us, assume that that’s a mistake. That being said if the title has been rated by PEGI, it’s not unsafe to assume that we could get an official announcement from Activision as soon as next week, maybe even tomorrow, although that’s pure speculation. If you want to check out the page for yourself, you can click here, however, if Activision takes down the page, I’ve included a screenshot below. If you’re confused by the fact that it specifically talks about the campaign, you’re probably not alone, however, it actually lends credence to the fact that this is happening. 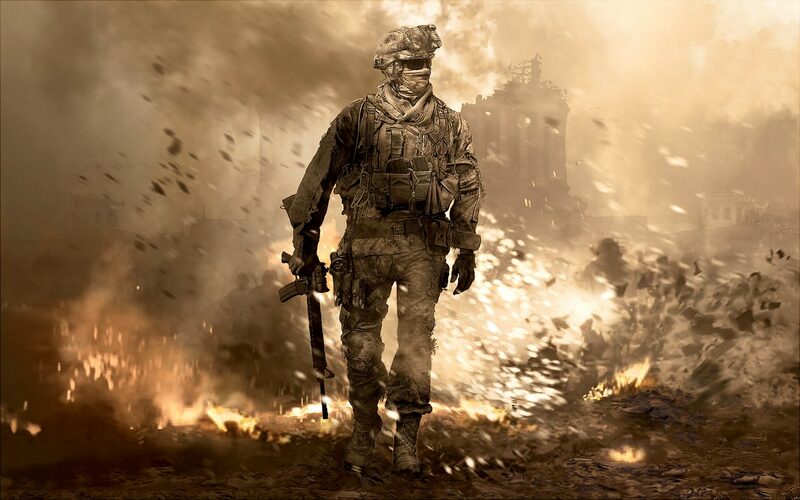 When the title was originally leaked last year, many in the game’s industry talked about how the remastered version of the famous first-person shooter would only include the campaign. So while it may not be the best case scenario, it definitely seems like this is real. 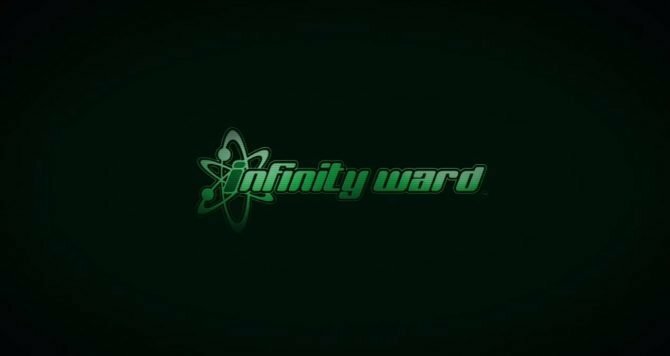 Unfortunately, we don’t know when Call of Duty: Modern Warfare 2 Campaign Remastered would hit, however, it would probably be later this year. The title will also most likely be available on PlayStation 4, Xbox One, and Windows PC. 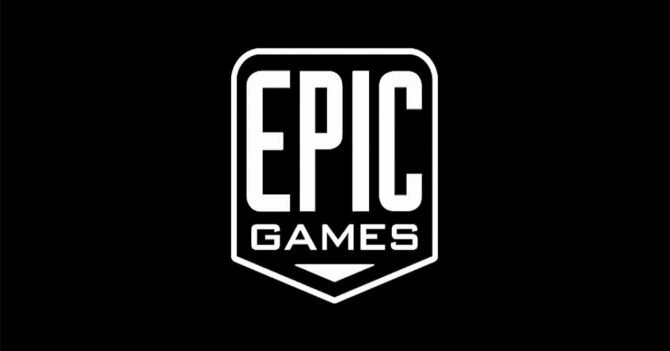 The former co-founder of both Infinity Ward and Respawn has supposedly now been hired by Fortnite creator Epic Games.